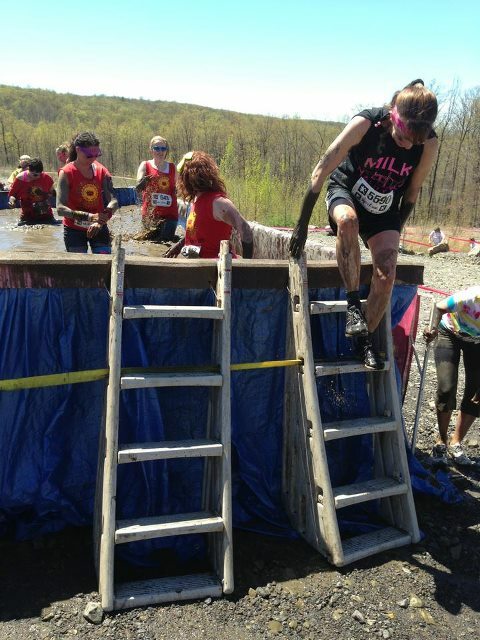 This past weekend, I had the time of my life when 5 friends and I drove about 2 hours to take part in a Dirty Girl Mud Run. I had heard about this run last summer when some friends did it and it looked like a blast. Add in the fact that part of the money raised goes to breast cancer and basically you had the perfect excuse for a girl’s weekend. So after months of planning everything from when we were going, where we were staying and what we were going to wear, we were off- dressed in our finest ’80-inspired fashions! Our wave was at 11:30 in the morning so when we arrived the fun was in full swing. 2 DJs, a band and 8,000 runners alone on Saturday- it was a mad house in the best possible way. Women of every age and shape were walking around sporting some awesome team t-shirts- Save 2nd Base, The Dirty DD’s, Mud, Sweat & Cheers- tutus, crazy socks and wacky headbands. It was really, really impressive. I had no idea what to expect from the actual run- was it going to be too hard? Too easy? How dirty were we going to get? Turns out, I worried for nothing. There wasn’t much running at all- you simply couldn’t run over the terrain with that many people on our course. We ran when we could, but we walked about 95% of the 5K. 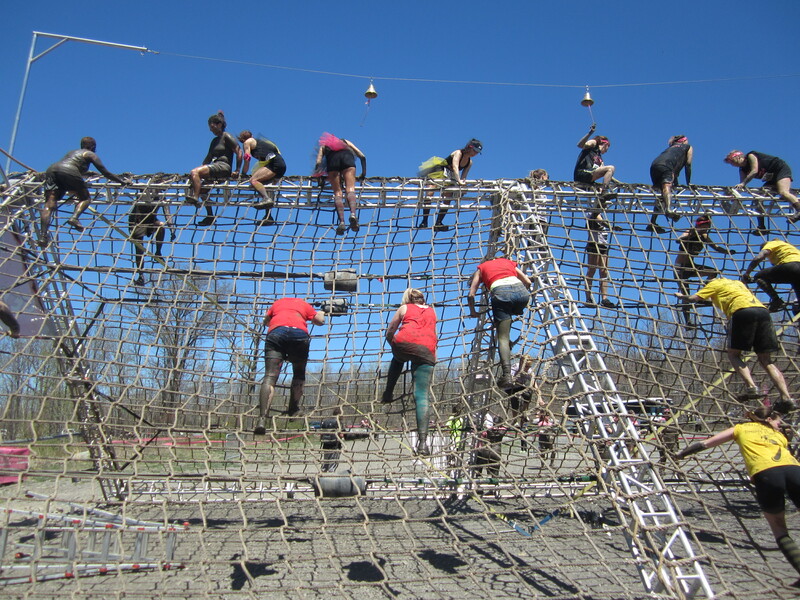 The obstacles were absolutely do-able- although I though 2 of them were difficult. 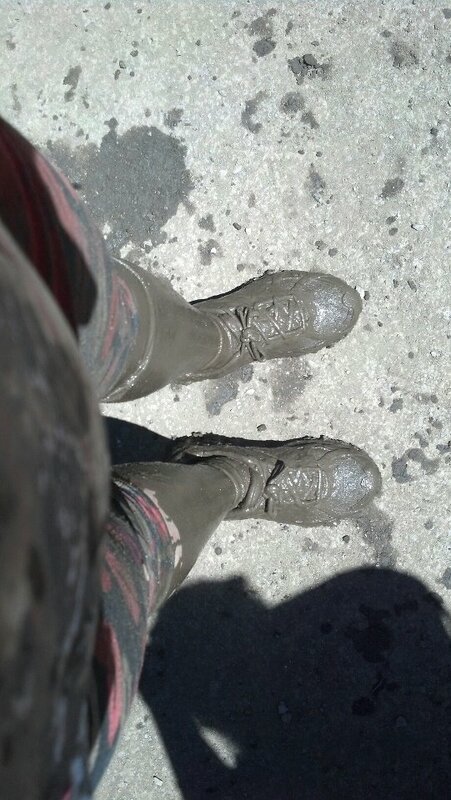 I was very, very glad I had on leggings as your legs take a beating between all the climbing and crawling. But we did them all. 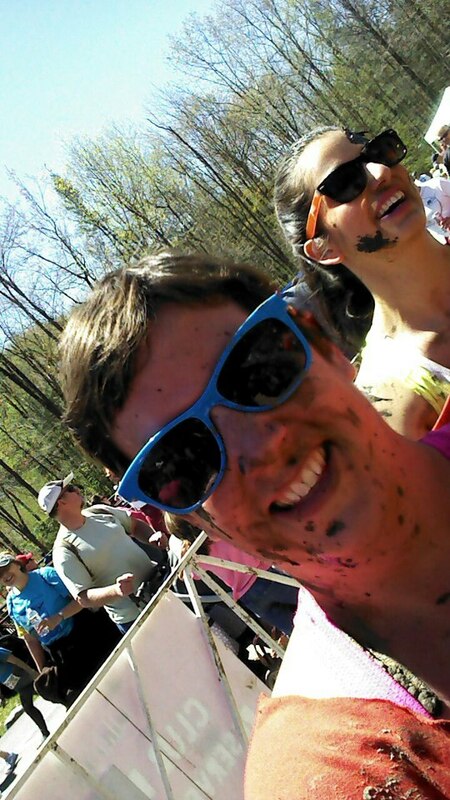 Even the most girl-y of us crawled in the mud pit and “swam” through the mud bath. When the fun was over, there were food and beer vendors, places to buy Dirty Girl merchandise and plenty of places to sit and relax. 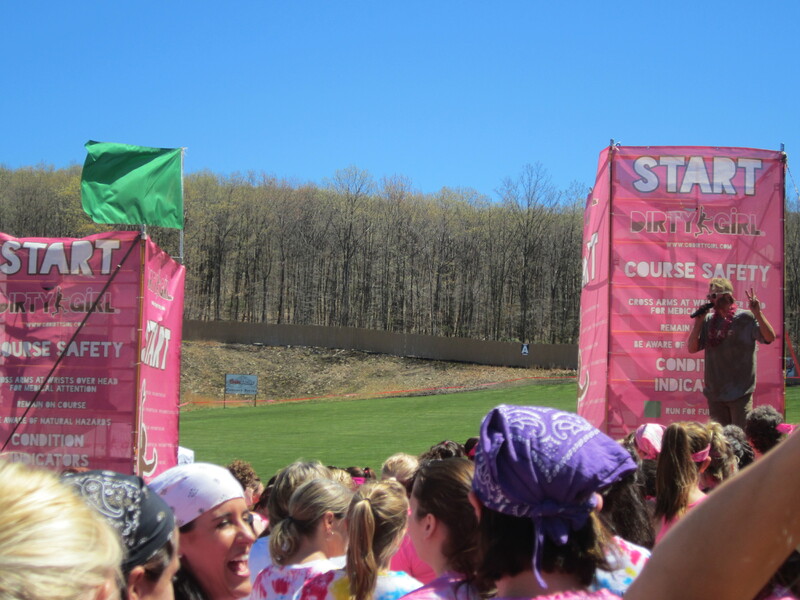 I seriously can’t recommend this enough- we’ve already signed up for 2014!